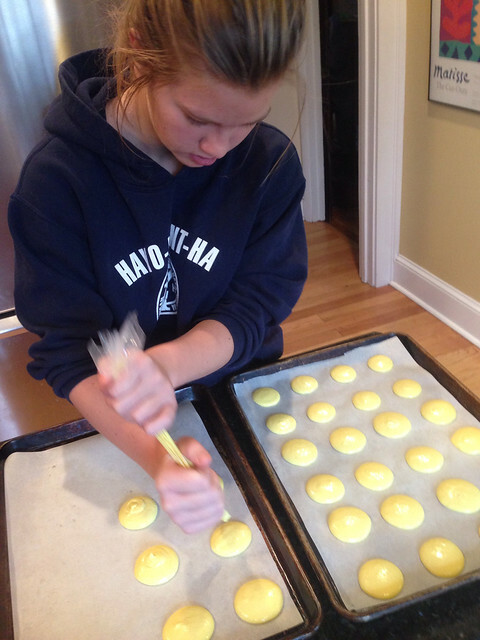 Grace and Sophia have become obsessed with macarons. I first had some in Quebec City and then I started bringing them home from Coquette Patisserie, the great new patisserie in University Circle. The girls can think of little else. They are expensive little suckers – usually $2 a piece, so we thought we can make them ourselves surement. I am very proud that we conquered them with surprisingly little trouble. 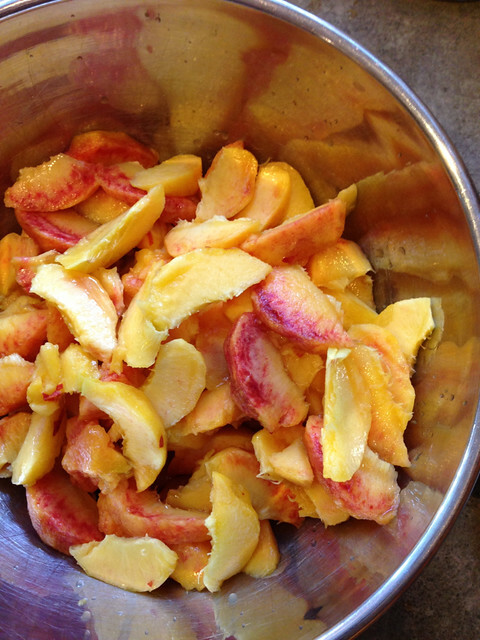 We have made two batches over the past two weekends and they both turned out great. 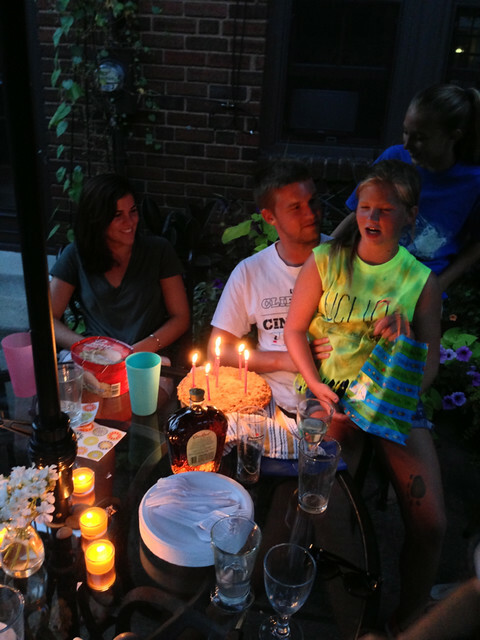 Sophie had done a lot of research looking at recipes, reading tips and watching videos which helped a lot. We bought some almond flour at Whole Foods. While expensive, I don’t think grinding your own almonds would yield the same results. We’re on the lookout for a cheaper source. The egg whites and sugar need to be beaten until very stiff peaks are formed and you can turn the bowl upside down with everything staying put. Mixing the dry into the wet is where most of the judgement call is made. You need to mix it more than I thought you would. 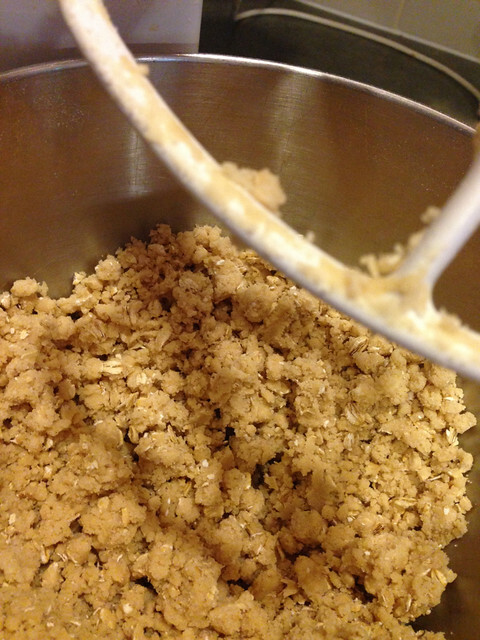 Pastry chefs call it the ribbon stage… where the mixture flows off the spatula like a ribbon. It was pretty satisfying when we knew we hit that exact point. post oven. they have their signature “feet” but are still shiny on the top. 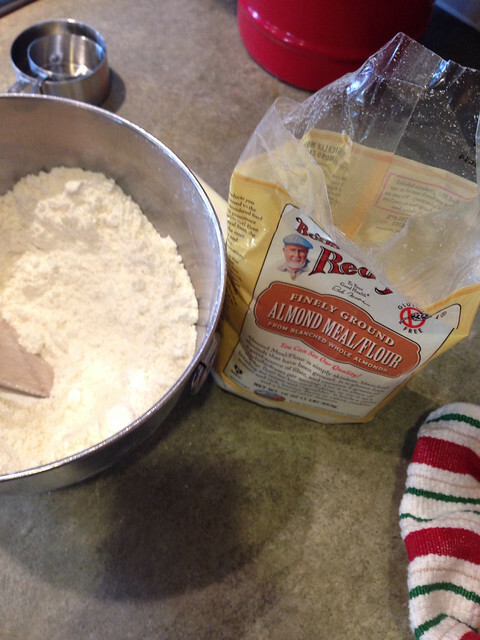 Sift together the almond flour and confectioners sugar into a bowl. In a separate bowl mix the egg whites, salt and cream of tartar to mix. Add the 1/4 cup of white sugar. Then mix on high until hard peaks are formed. About 5 minutes or so. 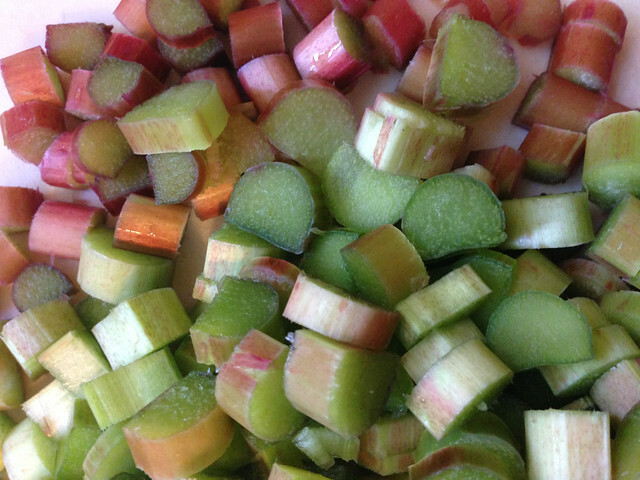 Add whatever food coloring you’re using now and mix well. 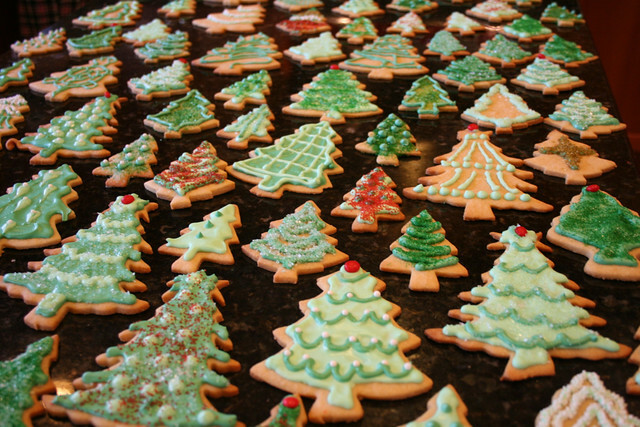 Also any other flavors that you want with your cookies. 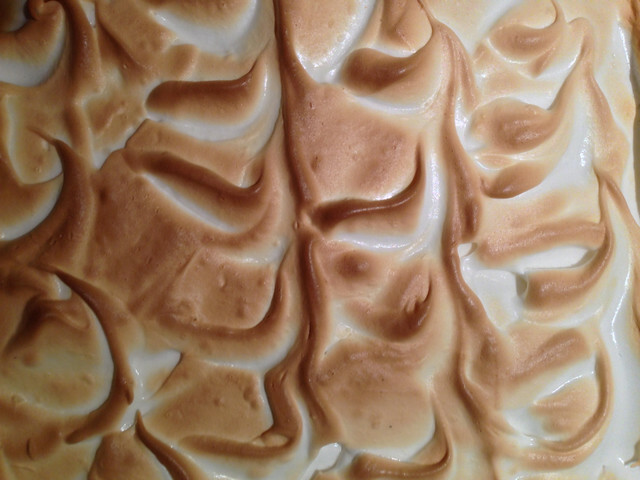 With a spatula, mix the dry mixture into the meringue a little bit at a time. Take your time. 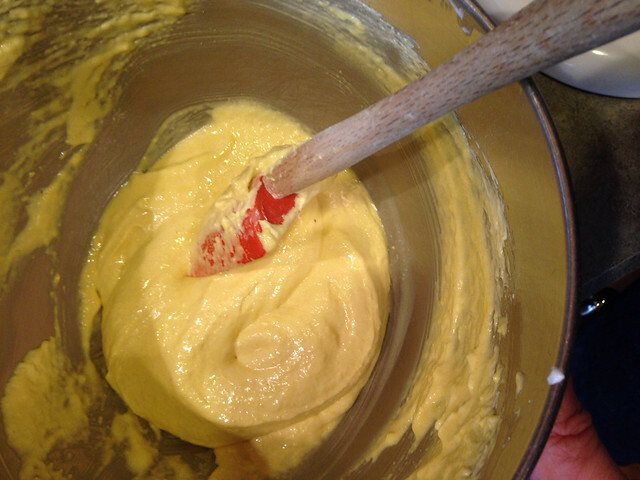 Once all is mixed together continue to mix until the batter is smooth and the ribbon stage. this took us about 5-8 minutes. You want it to be incorporated and smooth. 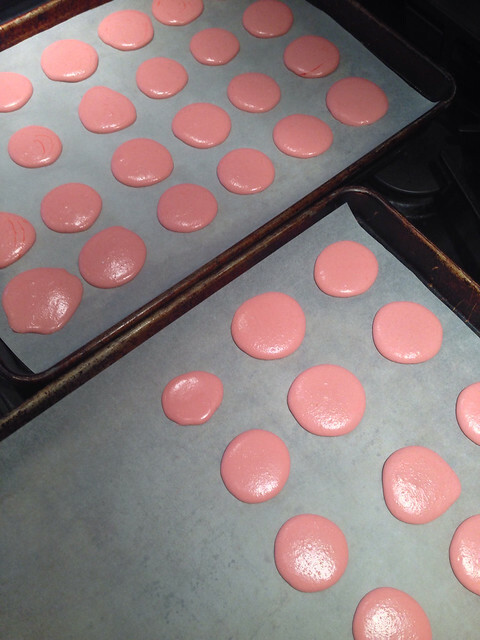 Put your batter in a piping bag and pipe onto a cookie sheet covered with parchment paper into 1 inch rounds. They will spread a bit as they sit. Let the cookie sheets sit for 1/2 hour to get slightly hard on the top. Preheat the oven to 300 degrees. Our oven took about 15-18 minutes. Don’t brown them at all. Let cool and ours popped right off the parchment paper. Make your favorite filling, pipe some onto flat side of one cookie and then very gently press another cookie onto the filling. 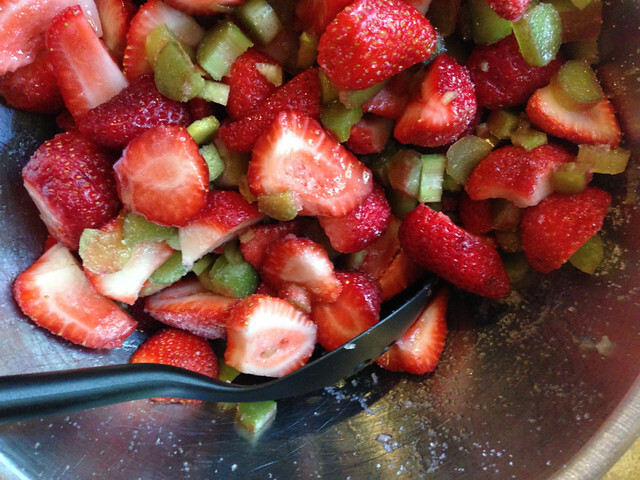 Keep refrigerated and let sit at room temperature for a bit before eating – doesn’t usually happen. 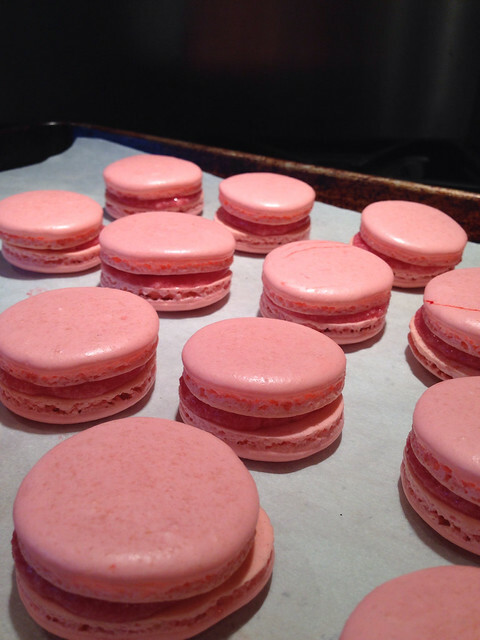 Our raspberry macarons had no flavoring in the cookies – just red food coloring – which is typical of most recipes. 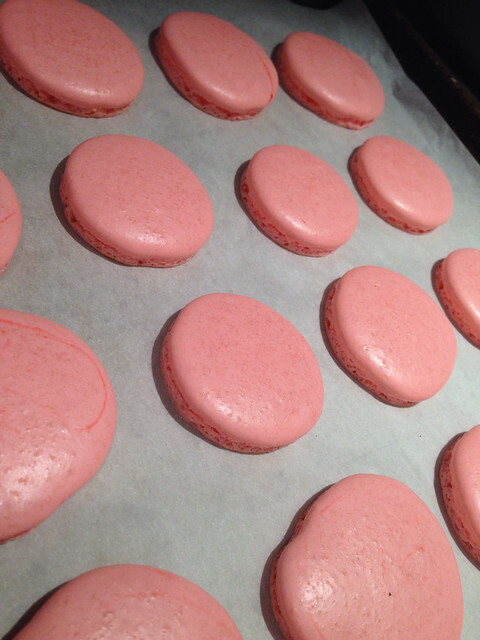 We then made a buttercream filling with fresh raspberry puree. The lemons ones we added a 1/2 t of lemon juice and 1 t of zest in the cookies and made another buttercream with lemon juice and zest. 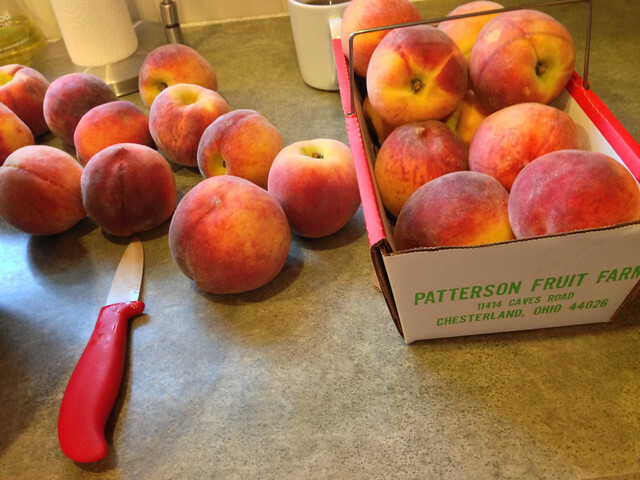 We had our first Fresh Fork Market CSA bag of goodness this Friday. 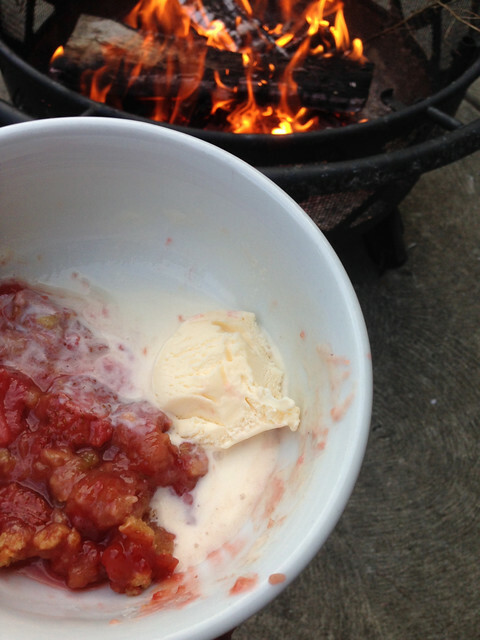 There was a nice bunch of rhubarb in it and we had three containers of strawberries in the fridge so I googled rhubarb and strawberries and Ina Garten’s strawberry rhubarb crisp was first on the list… so that’s what I made. It was very good I must say. 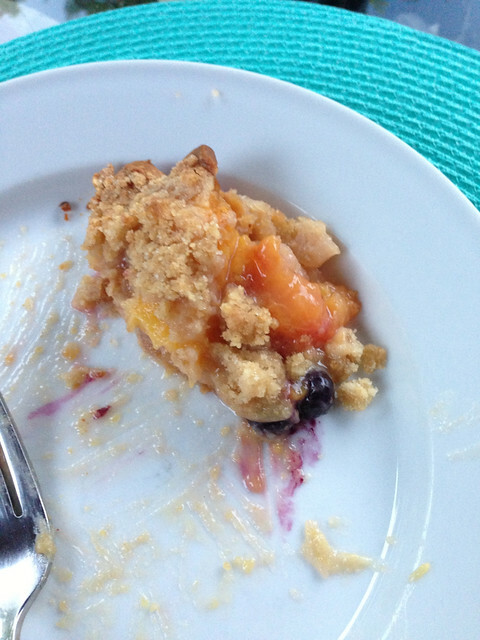 …and eat it outside in front of the fire on a perfect early summer Friday night. 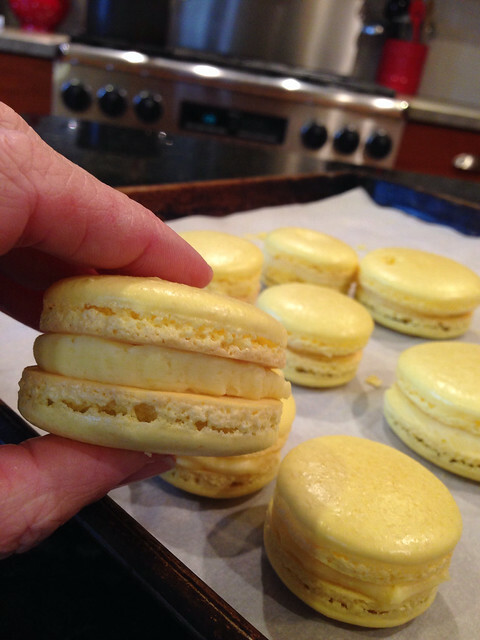 Ina Garten – Barefoot Contessa: How Easy is That? A bag of lemons in the refrigerator was calling my name last evening. 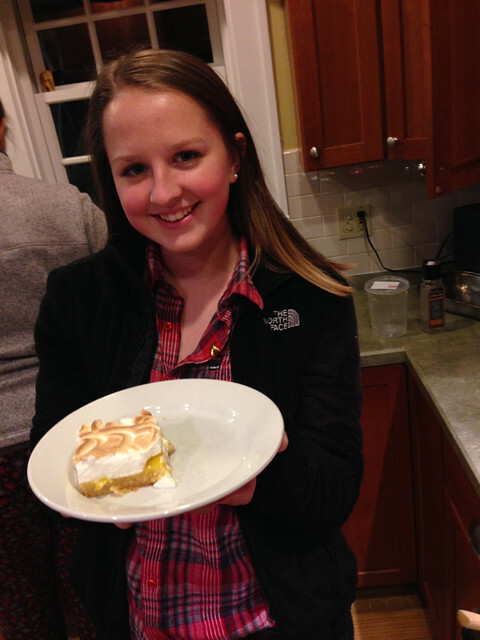 I love me a good lemon square but I thought I’d try something a little different on this cold blustery January eve. 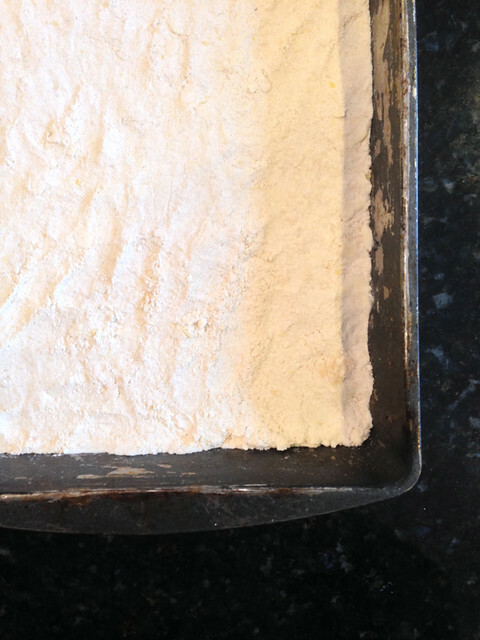 This recipe is completely ridiculous…1 3/4 cups plus 2 T. flour; 2 1/4 cups plus 2 T. sugar. Come on…seriously? So silly. But I must say… it came out perfectly. 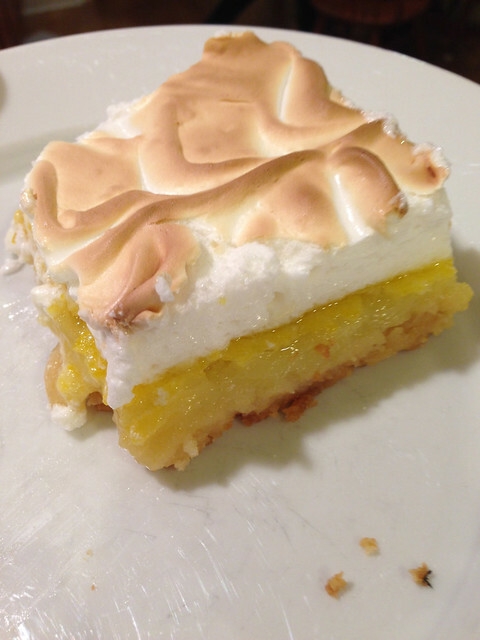 Buttery crust, lots of super lemony filling and meringue is great on everything. …and lots of butter always helps. 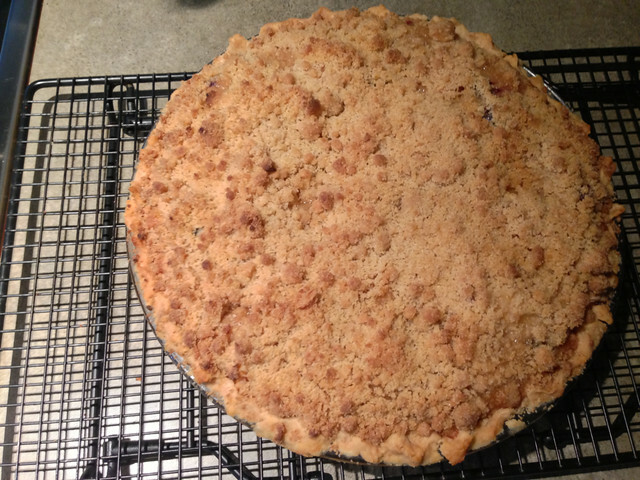 the crust before going into the oven. it came together really easily using a mixer which I never did before. 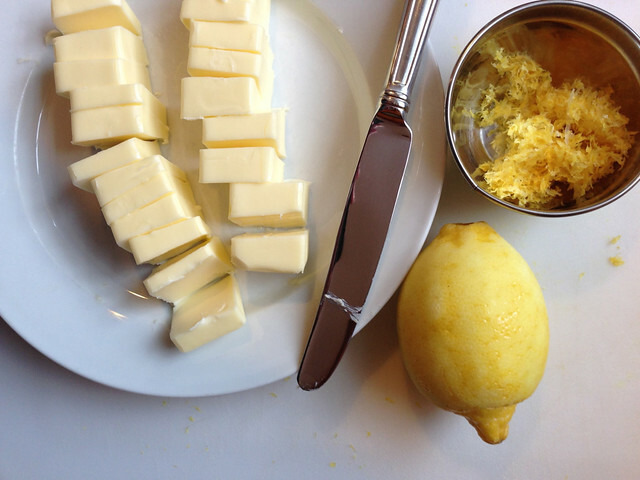 the filling ingredients – lots and lots of lemon juice. 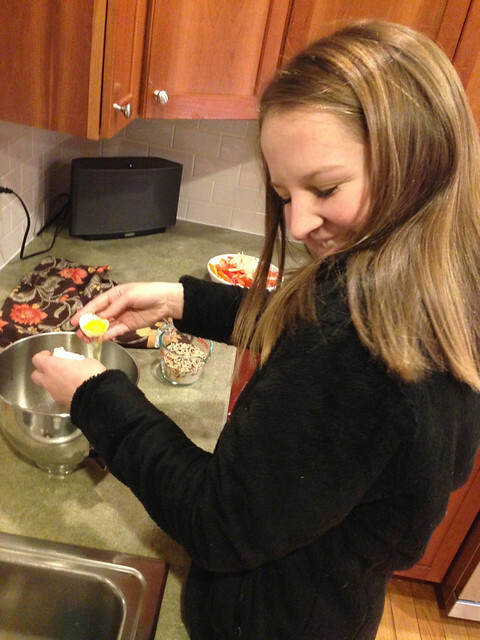 Grace made the meringue topping… cracking up separating the eggs. Preheat oven to 350. Make crust: Put butter, flour, confectioners sugar, 2 teaspoons lemon zest, and the salt in the bowl of an electric mixer fitted with the paddle attachment. Mix on medium speed until well blended. 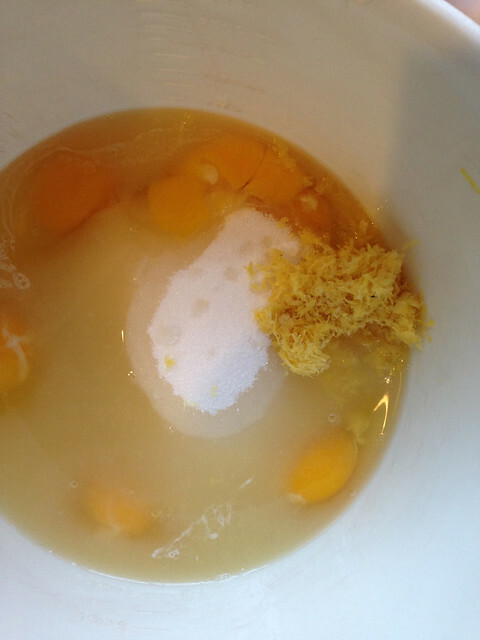 Make filling: Whisk together whole eggs, 1 3/4 cups plus 2 tablespoons granulated sugar, the lemon juice, and 1 tablespoon plus 2 teaspoons lemon zest. Pour over crust. Bake until filling is set, 18 to 20 minutes. Let cool completely on a wire rack. Keep oven at 350. 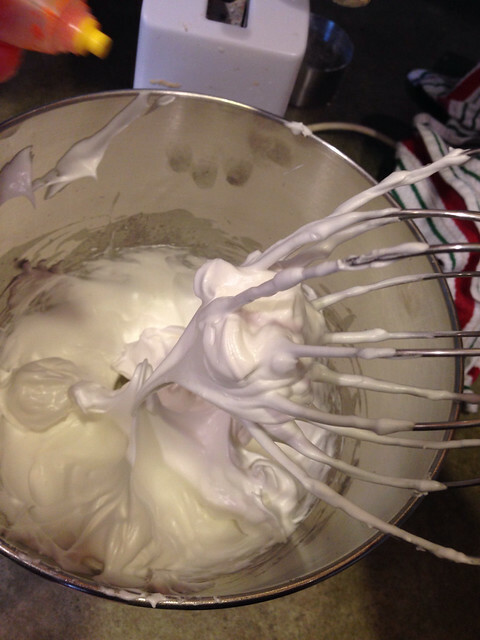 Make meringue topping: Put egg whites and 1/2 cup granulated sugar in the clean bowl of an electric mixer fitted with the whisk attachment. Beat on medium-high speed until stiff peaks form. I can’t believe Christmas is in only three days! 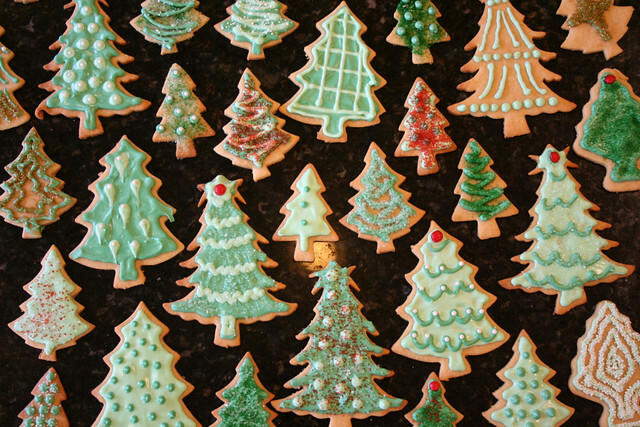 We decorated sugar cookies today and decided to do all Christmas trees this year. 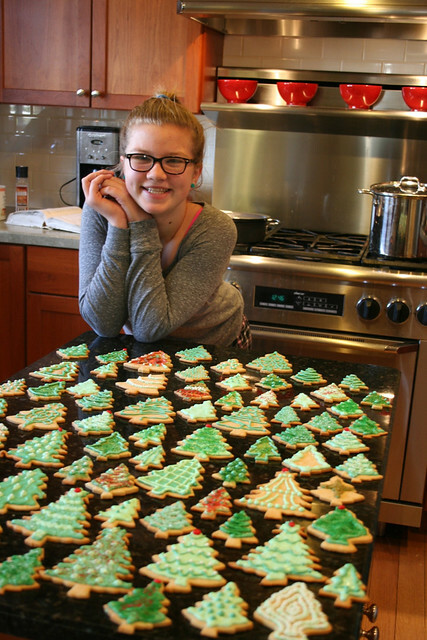 We used our stand by sugar cookie recipe that is always great. They turned out nice if I say so myself.